The Microsoft Dynamics Customer Center has published an article providing useful links to help you create your own training material. The Training and Adoption Kit for Microsoft Dynamics CRM 2013 provides links to several editable eBooks and help files that you can customize. You can use this material for your own purposes which may include replacing images and screen shots, modifying the text, inserting your company logo and aligning it with your own business standards and style guides. 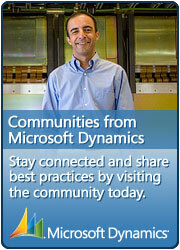 There are also a few help orientated videos you can watch to learn more about Dynamics CRM 2013. This entry was posted in Information and tagged CRM, CRM 2013, Customer Center, help, MSCRM, Resources, Training on January 13, 2014 by Rhett Clinton MVP.